The price of all that software bought on it’s own would be $381, but the MacUpdate Bundle includes it all for $49.99. Great stuff, get it while it lasts! Great deal. 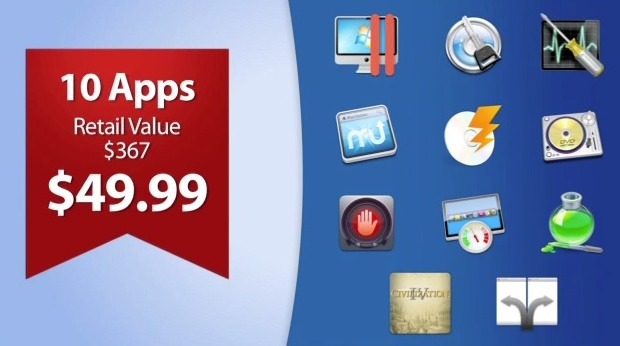 Most of these apps are not sold on the Mac App Store either. Some of the software in the bundle is out of date, new versions have been released. Also, MacUpdate signs you up for an auto-renewing subscription to their site. They are being dishonest and scamming customers.